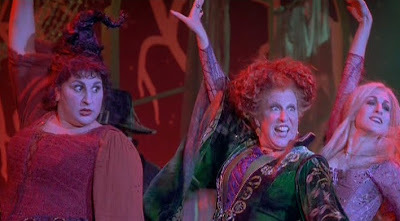 I think my strongest memory of the movie is the scene where the Sanderson Sisters curse all of the parents at the Halloween party. I mean, of course they were going to get Bette Midler to sing a big musical number, and it was going to be great. 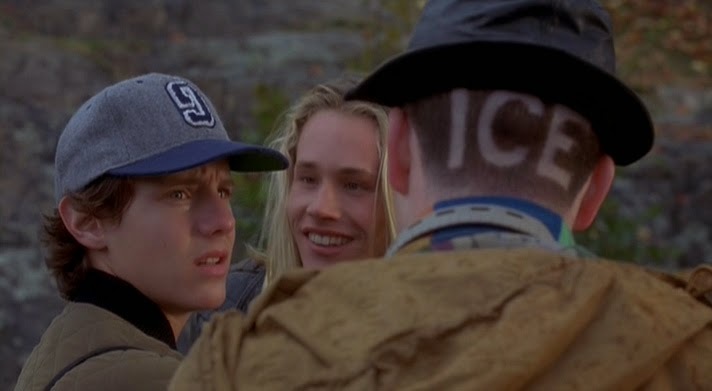 If you haven't seen this before, you need to know that this movie isn't just for kids. Adults are probably going to get more out of it anyway. And, in fact, I was kind of getting a little uncomfortable watching it with JJ, because of how many times they mention that Max in a virgin. My son is nine, and he is being raised way differently than I was. He doesn't know what that word means, and quite frankly, I'm not ready to have the talk about the birds and the bees with him. Thankfully, he didn't ask me what a virgin was. He would have gotten some dumb answer anyway. Or I might have gone with misdirection. That still works with him. 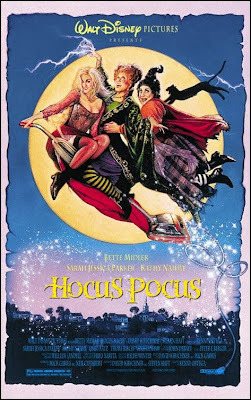 Most of the best moments in this movie stem from the reactions of the Sanderson Sisters to the modern world of 1993. Like pavement. Or kids in costumes, such as the little girl dressed up as an angel who goes up to the sisters and says, "Bless you!" When the sisters scream out in terror, it never fails to make me laugh. Bette Midler herself says that out of all of her movies, Hocus Pocus is still her favorite. That really speaks volumes about this movie, and should be reason enough for you to check it out. Here are today's Gifs Without Context! Come back tomorrow for The Neverending Story!